Custom Drum Kits: The SQ² Drum System represents SONOR’s extensive know-how in drum making and sound design. Building upon more than 137 years of manufacturing experience this range of custom instruments offers the ultimate in SONOR craftsmanship. It is the flagship within the SONOR Drum program. Drum Kits: The SONOR Ascent series marks the revival of the famous Beech shell construction that has been a trademark of SONOR throughout the decades. Equipped with the latest features and technology, the Ascent series is the perfect symbiosis between the Select Force and ProLite series of Drum sets. Any player, any style will appreciate the timeless quality and tremendous sound. Spectacular high quality Sparkles, solid lacquered Finishes and stunning wood Veneers highlight the high end look of the Ascent series. A feature taken from SONOR’s premium line SQ2 is the black chrome hardware with certain finishes underscoring the timeless design of the Ascent series. Get electrified with quality and sound in perfection! The vibration-free T.A.R. system (Total Acoustic Resonance) with APS (Advanced Projection System) provides maximum resonance and sustain. Rubber padding beneath the bass drum claws protects the wooden hoop against damage. Position clamps (Memory Locks) ‘remember’ your preferred bass drum spur height. The bass drum feet can be converted from rubber to metal by turning the rubber foot. Fixing the position by a fastening screw. All SONOR lugs are equipped with the TuneSafe feature, which prevents tension rods from loosening during hard rim shots or where batter heads have been loosely tuned. The Hardware 400 series provides solid double-braced stands for maximum stability and reliability. The SONOR 3-segment clamp offers maximum support for very little effort – whether for jazz or power drumming. Batter and Resonance Heads – Made by REMO USA: Tom Tom: REMO Ambassador Clear, Snare Drum: REMO Ambassador White Coated REMO Ambassador Resonant, Bass Drum: REMO Powerstroke 3 Clear, Front Head: REMO Powerstroke 3 Black with white SONOR Logo. Drum Kits: The SONOR Essential Force series is designed for advanced drummers not willing to sacrifice their musical freedom. Five preconfigured sets and 12 individual components offer unlimited possibilities for a drummer’s individual configuration. A large selection of individual components provide perfect add-ons for an even bigger performance – ideal for live gigs requiring multiple setups. The vibration-free T.A.R. system (Total Acoustic Resonance) with APS (Advanced Projection System) provides maximum resonance and sustain. The standard Essential Force series bass drum ships with a mount. The inner workings of the mount are built for a strong and secure base; thanks to a smooth yet firm application of pressure. Rubber padding beneath the bass drum claws protects the wooden hoop against damage. Position clamps (Memory Locks) ‘remember’ your preferred bass drum spur height. The bass drum feet can be converted from rubber to metal by turning the rubber foot. Fixing the position by a fastening screw. Pre-muffled batter and resonance heads on the bass drum provide ‘allround’ powerful sounds and dynamic ‘kicks’. SONOR heads made by REMO. The new SONOR Force tuning lugs with fine-pitch threads are equipped with the TuneSafe feature, which prevents tension rods from loosening. Drum Kits: The SONOR Select Force series is the pinnacle of the new Force range. The Select series is a set for every drummer: designed especially for advanced and semi-professional drummers, Select Force Drum sets can also be an interesting alternative for professional drummers. A wide array of pre-configured sets, components and the very latest features from the professionals’ series make SONOR Select Force sets a real hit! The 7 ply Canadian Maple shells offer uncompromisingly rich and warm sounds, highlight lower pitches and provide balance in the mid-range and treble. Whether in the woodshed, recording studio or on stage, SONOR’s Select Force sets deliver a powerful performance every time. The Maple shells deliver maximum strength, perfect curving and neutral tuning, due to the tension-free cross lamination of individual plies of wood (CLTF Cross Laminated Tension Free Process). A large selection of individual components provide perfect add-ons for an even bigger performance – ideal for live gigs requiring multiple setups. The vibration-free T.A.R. system (Total Acoustic Resonance) with APS (Advanced Projection System) provides maximum resonance and sustain. The standard Select Force series bass drum ships with a mount. The inner workings of the mount are built for a strong and secure base; thanks to a smooth yet firm application of pressure. Rubber padding beneath the bass drum claws protects the wooden hoop against damage. Position clamps (Memory Locks) ‘remember’ your preferred bass drum spur height. The bass drum feet can be converted from rubber to metal by turning the rubber foot. Fixing the position by a fastening screw. Pre-muffled batter and resonance heads on the bass drum provide ‘allround’ powerful sounds and dynamic ‘kicks’. SONOR heads made by REMO. The SONOR Select Force tuning lugs with fine-pitch threads are equipped with the TuneSafe feature, which prevents tension rods from loosening. Drum Kits: The SONOR Smart Force series – designed especially for beginners at an uncompromisingly attractive price. Extremely interesting for all up-and-coming rockers, jazz cats, enthusiasts of metal or the blues …or any drummer who’s looking for a Drum set that is sturdy, yet versatile. The 9 ply Poplar shells of the SONOR Smart Force sets are full bodied, providing balanced sound with lots of power up front. The shells deliver maximum strength, perfect curving, and neutral tuning thanks to tension-free cross-lamination of the individual plies of wood (CLTF Cross Laminated Tension Free Process). The covered finish is very sturdy and long lasting, and the workmanship is impeccable. 9 plies for bass drums, tom toms, floor toms and snare drums = 7.2 mm, 17.5" Deep Bass Drum. For Maximum Power and Rich Bass Drum Sounds! The standard Smart Force series bass drum ships with a mount. The inner workings of the mount are built for a strong and secure base; thanks to a smooth yet firm application of pressure. Pre-muffled batter and resonance heads on the bass drum provide ‘allround’ powerful sounds and dynamic ‘kicks’. SONOR heads made by REMO. The new SONOR Force tuning lugs with fine-pitch threads are equipped with the TuneSafe feature, which prevents tension rods from loosening. And for the beginner, this means the "tuning" lasts even longer. With the tried and true ‘Ball Clamp’ system, the tom toms can be securely positioned wherever the drummer wishes. Drum Kits: The SONOR Smart Force Xtend series is based on the specifications of the Smart Force series, while offering a complete Drum setup. Each setup comes with the SONOR Cast B8 Cymbal set, an additional Mini Boom Stand as well as a Drum Throne – out of the box and ready to play! The Xtend Drum sets are designed for beginners and advanced players taking their first steps into the Drum community. With its attractive price, this complete Drum set is the picture of long-lasting musical pleasure. Because beginners shouldn’t have to hide from established players, the 9 ply Poplar shells of SONOR’s Smart Force Xtend sets offer the needed punch to keep those just starting out from falling by the musical wayside. The Poplar shells deliver maximum strength, perfect curving, and neutral tuning thanks to tension-free cross-lamination of the individual plies of wood (CLTF Cross Laminated Tension Free Process). The covered finish is very sturdy and long lasting, and the workmanship is impeccable. 9 plies for bass drums, tom toms, floor toms and snare drums = 7.2 mm., 17.5" Deep Bass Drum for Maximum Power and Rich Bass Drum Sounds! The standard Smart Force series bass drum ships with a mount. The inner workings of the mount are built for a strong and secure base; thanks to a smooth yet firm application of pressure. The bass drum feet can be converted from rubber to metal by turning the rubber foot. Fixing the position by a fastening screw. Pre-muffled batter and resonance heads on the bass drum provide ‘allround’ powerful sounds and dynamic ‘kicks’. SONOR heads made by REMO. The new SONOR Force tuning lugs with fine-pitch threads are equipped with the TuneSafe feature, which prevents tension rods from loosening. And for the beginner, this means the "tuning" lasts even longer. With the tried and true ‘Ball Clamp’ system, the tom toms can be securely positioned wherever the drummer wishes. Features; Kits available as follows either with or without Cymbals. Drum Kits: The heritage of over 135 years of Drum making experience meets the passion, knowledge and creativity of SONOR’s international team of design engineers, professional players, distributors and retailers. Using only the finest hand-picked wood selections from eco-friendly resources, precision metal components, and a superior lacquering process, each Drum is a piece of art. Made and assembled with care to meet advanced demands and set the bar for professional drums, ProLite combines superior tone, leading-edge design, function and precision to deliver the perfect tools for your musical inspirations. The perfect match for your gig, no matter what style you play! Features; PL 12 Studio 1 Set NM. 1 x Bass Drum 20" x 17.5", 1 x Tom Tom 10" x 8", 1 x Tom Tom 12" x 9", 1 x Floor Tom 14" x 14"
PL 12 Stage 2 Set NM. 1 x Bass Drum 22" x 17,5", 1 x Tom Tom 10" x 8", 1 x Tom Tom 12" x 9", 1 x Floor Tom 14" x 14"
PL 12 Stage 3 Set NM. 1 x Bass Drum 22" x 17,5", 1 x Tom Tom 10" x 8", 1 x Tom Tom 12" x 9", 1 x Floor Tom 16" x 16"
Drum Kits: A compact drum set that's big on sound, SONOR's Select Force Jungle Set is constructed of maple shells. Improvements include a bass drum with lacquered wooden hoops, short-size toms and new tuning lugs. The idea club and tour set for drummers looking for a compact , ready-to-play, easy to transport set. Ideal for the modern 'in' beats ...and still big enough for heaps of fun! 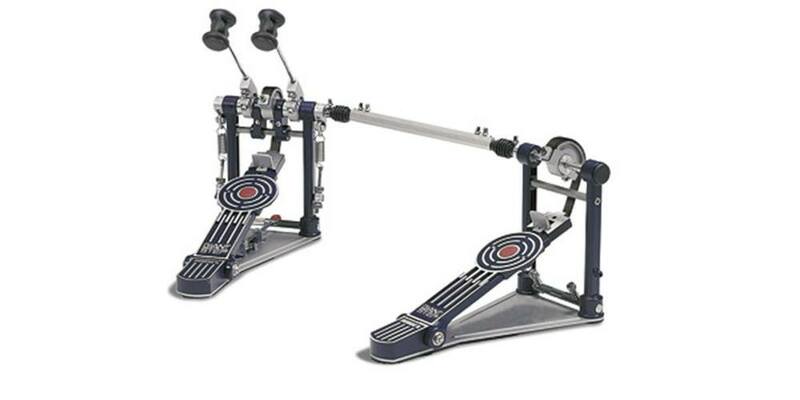 Giant Step Double Pedal: SONOR Giant Step bass drum pedals are the best tool for discriminating drummers refusing to sacrifice any musical freedom. As a state-of-the-art pedal, Giant Step delivers an optimum feel for the music along with speed and handling. The extraordinary design and numerous enhancement options elevate Giant Step pedals to a class unto themselves. From the Target Point foot board to the docking station, every aspect of the Giant Step series has been designed with the utmost attention to detail. A choice of Single, Double and Middle pedals allows every drummer to find the perfect ’Giant Step’. 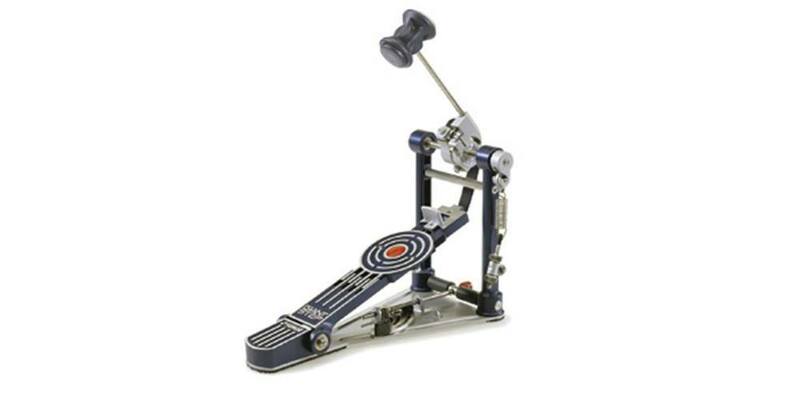 The "Smart Connect" system means quick and effortless attachment of the pedal with an adjustable ball clamp through a firm lever mechanism. A cylindrical axle connection neutralizes any possible tensions traditionally caused by different bass drum angle positions. This pedal effectively demonstrates the modular system of the Giant Step series. Separate modules of the Single pedal make up the Double pedal, featuring extremely smooth action.The connecting axle is length adjustable, and the high quality cross joints are covered by rubber housings. Get a grip on any surface! The bass drum plate has an anti-slip rubber profile with self-adhesive velcro. All Giant Step pedals are supplied standard with a heavy duty nylon carrying bag. Straps, chains, springs, and beaters are also available. Jodi Mayer: Over the past two decades, I acquired and played pretty much every pedal on the market. Unfortunately, I could never find a pedal that really worked for me. I found that compared to some legendary vintage pedals from the fifties, most contemporary pedals have plenty of speed and throw on the forward motion, but sluggish response on the beater return.